These players are willing to accept lots of dead spins, relentless grinding to reach features and a style of slot gameplay that the escapists might find unrewarding. Find the best High Variance slots and where to play! This page is for those players. Here you will find the most demanding, scary, volatile and ultimately big paying slots available online today. We checked a lot of other websites online and found their lists ot be out of date, so we are listing the latest high variance giant pay-out slots here. Check it out! Donuts is Big Time Gaming’s latest offering and in terms of dead spins and insane volatility we think it blows even Bonanza out of the water! But wait…obviously there’s a reason it tops our list! The top paying symbol pays 15x stake for 4 in a row. You could have an 800x multiplier on that, plus wild multipliers…and…oh goodness I think I need a moment, Potential max win of 7,500,000??? Sound like your kind of fun? Well then you owe it to yourself to check it out. Available now at all good Big Time Gaming casinos this is one you will want to try for yourself. Bonanza has become a legend in the short time it’s been around. 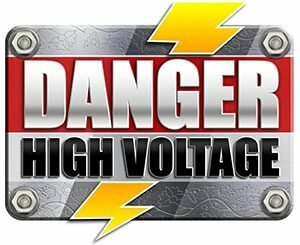 This slot, along with Danger High Voltage, really put Big Time Gaming on the map and they are now the benchmark for high variance slots online. The buzz around this slot has been like no other, but the first time you play it you may wonder why. Dead spins and balance draining dead spells are part of the ‘charm’ of this unique game…but when you catch it on a good day…hold on to your hat! For many players, it is slots like Dead or Alive™ that first made them aware of the concept of volatility. One of the great things about this slot is that you can play for hours at 9p or 18p a spin and still have a chance of winning hundreds of pounds! Play bigger (if you dare) and you can win some insane amounts, but be prepared to suffer first! One of our all-time favourite slots and still one we would love to hit the big-time on. The legendary 5-Wilds on Wild Desire keep many players hooked on this slot long after they should have moved on. It’s a fantastic slot and one of Microgaming’s best ever. Another slot that offers ridiculously high volatility but also an accessible gameplay model that can appear deceptively forgiving. Be under no illusion, this slot can take your balance to the grave and you should be prepared to lose everything should be attempt to defeat it! A brand new slot launched in May 2018, this slot from Leander games is aimed squarely at the high variance slots fans out there. The slot plays unlike anything else out there, and will have you tearing your hair out as you chase the epic win that will restore your bank balance (and sanity!). This Big Time Gaming MegaWays™ slot was one that firmly establised BGT as one to watch in the world of online slots. This slot is visually explosive, has incredible catchy sound effects and music samples, and offers the same high volatility excitement of Bonanza in a slightly more friendly format. The bonus rounds are more regular than Bonanza, so you have more chances to cash imn your chips without going so deep in the red. Novomatic are renowned high variance slots designers, and this recent slot from them hits every button for us! We love the theme and we love the gameplay that builds anticipation and almost seems to train your senses to predict the next win. A superb slot that builds on the legacy of Novomatic classics like Book of Ra. Raging Rhino is one of the most frustrating slots we have ever played. The regular teasing near feature wins, the missing symbols that could have linked up huge wins…it does everything it can to drive you crazy! But sometimes…just sometimes…it gives you a break. This one is SO under-rated and yet every time we play it we sense the potential for ridiculous wins! The gameplay has a nice tumbling reels type of feature where pyramid blocks explode and new ones fall in along with guaranteed wilds every time you clear the top row. It’s a very satisfying formula and makes this well worth a look. One of our favourites because Gonzo is one of very few high variance slots to regularly qualify for free spins! It isn’t quite as crazy as some of the others on this list, but when it goes off you will certainly rememeber it! Great slots for high risk, high reward type players. Dead or Alive 2™ Free-Play and Free Spins Bonuses!